Top Rated Elementary Math Tutors in Phoenix, AZ! Welcome to Phoenix’s top-rated private elementary math in-home tutoring service! All of the following Phoenix elementary math tutors are certified by Varsity Tutors, the leading tutoring agency in the country! 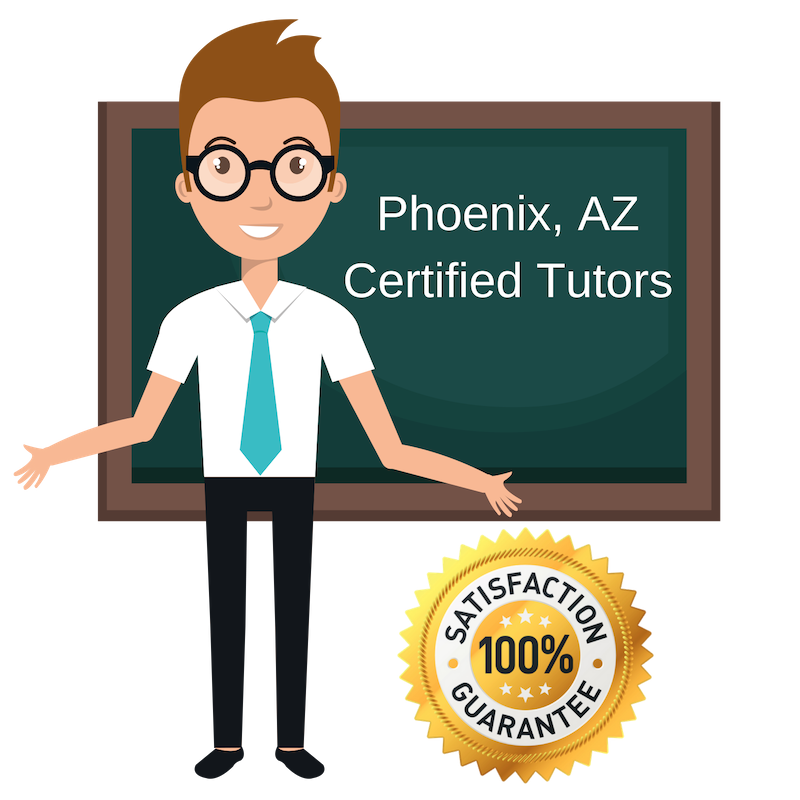 All Phoenix elementary math tutors have been background checked, been interviewed, had mock elementary math tutoring sessions, and been trained by professionals. We guarantee you will love your local Phoenix elementary math tutor or your money back! Get information regarding a top-rated elementary math tutor today! I tutor elementary math in Phoenix, Arizona. I received my Master’s degree in Elementary Education from Grand Canyon University. My experience includes teaching elementary school, second and fourth grade, and teaching English to both adults and children. When I’m not tutoring students in elementary math, I like to read, bike, and watch movies. I tutor elementary math in Phoenix. I received my Bachelor of Science Degree in Geological Sciences from Ohio University. I also received a B.S. in Computer Sciences from American Sentinel University. My tutoring experience has covered many subjects and I’ve been fortunate to teach many students, learning how to adapt to each different learning style. I focus my tutoring efforts on math and science, where my expertise is. The best part about being a tutor is helping a student truly understand a concept and watching it all of a sudden click for them. Beyond math and science, I also like to help students prepare for standardized tests and teach them good test-taking skills to help minimize stress. I want my students to enjoy learning and I try and make the material as interesting as possible for them to keep them engaged. When I’m not tutoring math or science, I like to cook. I also enjoy being in the water and participating in a range of aquatic activities like swimming, sailing and scuba diving. I enjoy distance swimming, and have participated some of the popular swimming challenges like Alcatraz to San Francisco. I tutor elementary math in Phoenix. I studies at Northern Arizona University, where I received both my Bachelor of Arts in English and my Master’s in Literature. My teaching experience started when I was a Graduate Teaching Assistant in college. I taught six different courses and tutored in the campus writing center. This experience drove me to continue tutoring after school. I make sure the learning environment is fun and relaxed for each student, making them comfortable to sit back and learn. I try and compare math problems to real-life situations to help contextualize the concepts for students. I always try and find common ground with each student and help adapt my teachings to how they learn. I want them to excel academically and enjoy themselves. When I’m not tutoring, I’m writing my novel or reading, which I love to do! I tutor elementary math in Phoenix. I graduated from Ferris State University with a Bachelor of Science in Elementary Education, focusing on social studies and language arts. I moved from Michigan to Arizona after graduation to teach. I tutor many subjects, including math. I am passionate about education and want to share my enthusiasm and insights with students. I strongly believe in the power of education and want each student I work with to enjoy themselves and find a way to love to learn. When I’m not tutoring or teaching, I like to read, watch my favorite sports teams, and go to the movies. Hi, I’m an elementary math tutor in Phoenix. I graduated from Arizona State University where I received a bachelor’s degree in nursing, with minors in psychology and social work. I very much enjoyed school and want to help my students enjoy it as well. I tutor many subjects, including an array of math levels. My tutoring style invites students to contribute to the lessons as much as they would like, helping me identify their problem areas and find the best approach for conquering areas they need a little more focus in. In addition to helping students understand math concepts and identifying problem-solving techniques, I want to do as much as I can to increase their self-confidence in their abilities and make them more independent learners. My hobbies include playing with my puppy and volunteering at the local animal shelter.